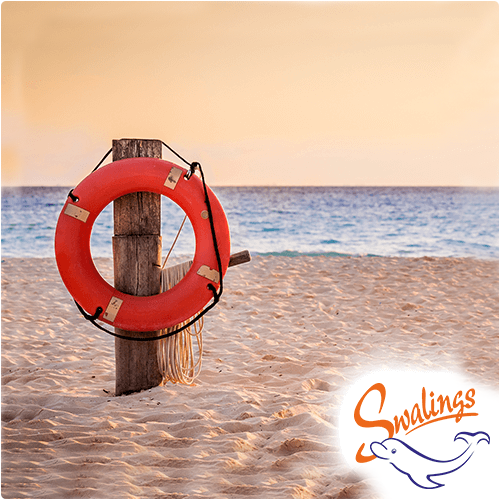 Lifesaving and water safety is a fundamental element of our teaching methodology. 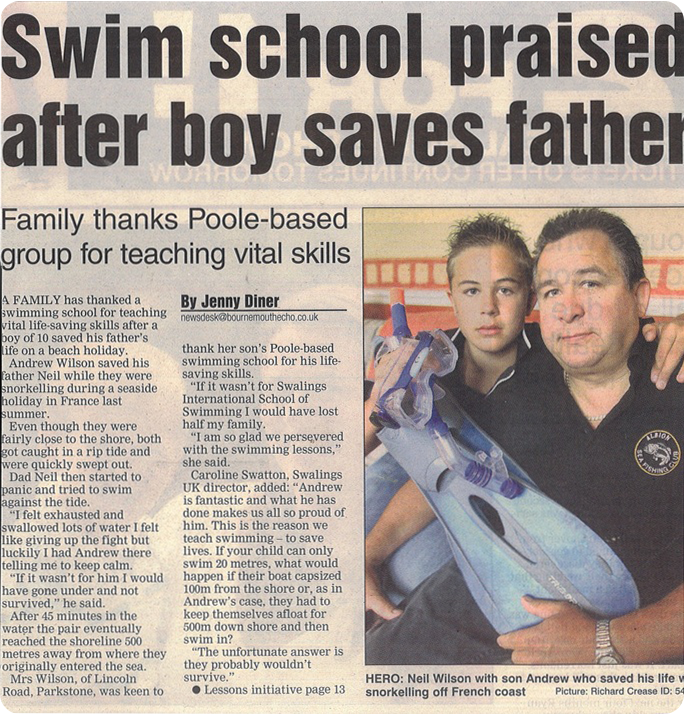 We believe that as well as swimming being a fun, healthy pastime, it could also save your life…and for some of our students, it has! 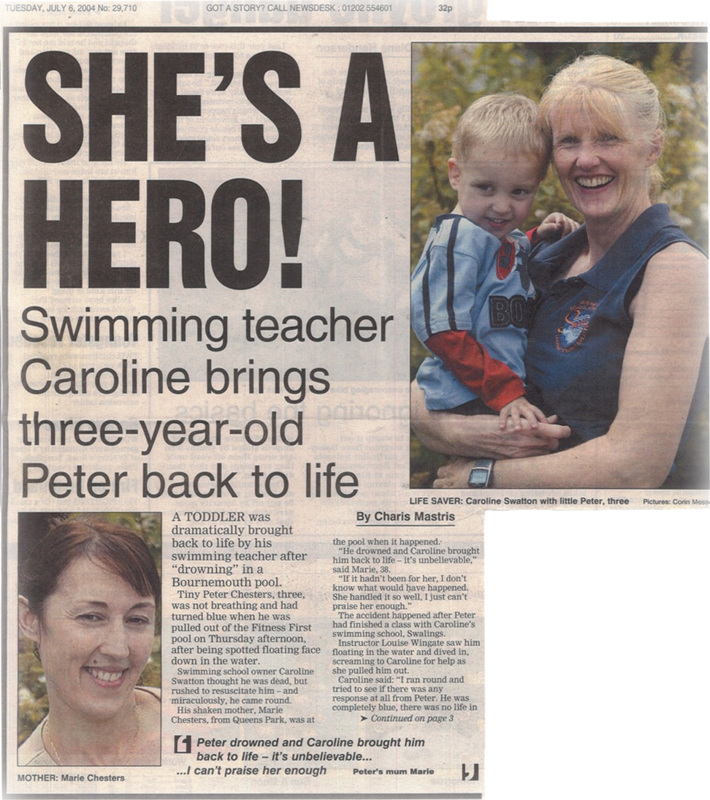 This is why we feel it is invaluable to incorporate lifesaving skills throughout the Swalings learning journey. Your child will progressively learn their swimming skills alongside a gradual proficiency and know-how of lifesaving practise and understanding. In all classes, up until stage 5 (Salmon) our children learn fundamental principles of lifesaving, including how to call and throw a rope, swimming in clothing, treading water, maintaining stamina and identifying lifesaving equipment. Beyond and including stage 5 (Salmon, Dolphin, Beaver, Otter) Lifesaving becomes a core element of our lessons. We focus on more specialist skills and apply them to scenarios and role plays. This includes the process of CPR, Recovery Positions and surface dives. We also educate as to the less obvious difference between water environments (Ocean, Lakes, Rivers, Ponds and Locks) and the varying danger influencers such as rip tides and how best to manage a situation. At Swalings we don’t just teach swimming, we aim to go the extra mile to ensure safety in the water. We want to give peace of mind to parents and guardians that by following the Swalings Swimming journey, they are investing in a skill that their child can take forward in life to enjoy water safely in whatever way they wish. A little over 3 years ago Michael and Mark (in the video) were lost at sea for 17 hours with their Dad and uncle when their boat capsized. This was obviously a very traumatic incident for all involved and Michael and Mark became scared of the water after the incident. 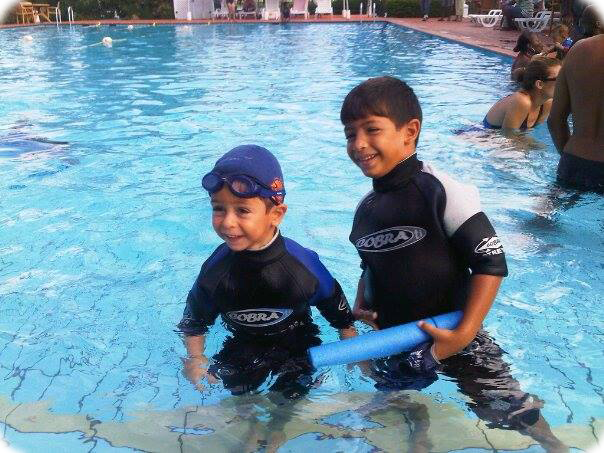 Having taught the boys to swim originally we spoke with their Mum Lilian Antoun Ghanem about the importance of them getting comfortable in the water again. Living on an island there was going to be a lot of times spent in and around the water so it was important for the boys not to build up a lifetime of fear and miss out on all the opportunities that being on the water can bring. We have seen this with many adults we have taught over the years. In younger life they had a near drowning experience and have spent the rest of their lives avoiding the water. It’s also true of parents who don’t take their children to learn to swim because they are scared of the water due to an experience in their childhood. Water can bring so much joy and it’s easy to over come the fear when you have supportive teachers around to help you gain confidence. So it’s great for us to see the boys living life to the full and enjoying being on the water again.